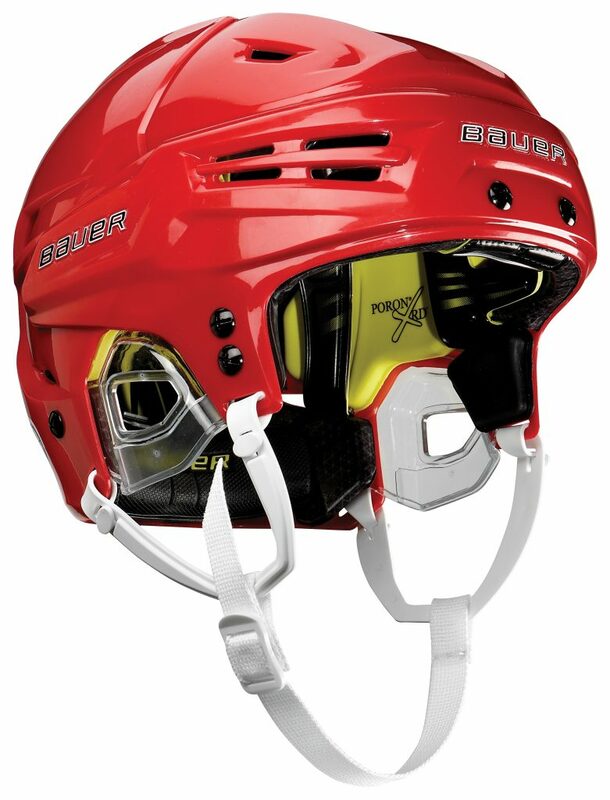 Bauer Re-Akt Hockey Helmet | Sports Etc. SUSPEND-TECH liner allows helmet to move independently from interior foam during rotational impacts, compressing and stretching to help better manage rotational force. PORON® XRD™ foam is a pliable material offering maximum comfort with the ability to dissipate extreme force. The RE-AKT™ has a 2-PIECE SHELL design with tool-less adjustment and OCCIPITAL LOCK 3.0, which helps stabilize and lock the back of the head into place for a proper fit every time. The Re-Akt helmet offers enhanced protection and comfort. It features a suspend-tech liner and poron XRD foam to better manage rotational forces in addition to high and low energy linear impacts. The suspend-tech allows the helmet to move independently from interior foam during rotational impacts, while the poron foam absorbs and dissipates the impact. Sports Etc Performance To Value Rating- 9 out of 10. One of the very best helmets on the market. Innovative technology, which combines protection against rotational and direct impacts. Great for all ages.